In 1993, with the approval of the highest religious authorities, noted educator Rabbi Avraham Gombo, together with Mr. Yitzchak Levin, set out to create an organization to empower the Orthodox and Ultra-orthodox communities to deal more effectively and positively with childhood learning differences and developmental delays. 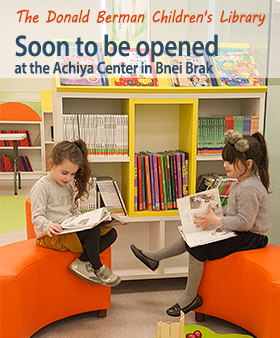 Achiya began as a small Learning Center to provide specialized remedial tutoring in Gemara for preteen boys who were floundering in the regular school system. When it became apparent that many of the boys were dyslexic, or had other learning difficulties, Achiya opened a specialized remedial reading program. Realizing that that there were almost no male educators in the Haredi community qualified to work with these children, Achiya opened its Teachers’ Training Seminar in Bnei Brak, the first teachers’ training program to provide courses in special education to Haredi men. The first course included 24 students in one classroom.